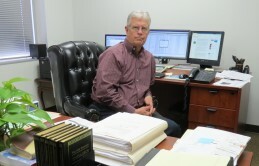 Darrell Ingram CPA is a Certified Public Accountant and Financial Solutions Provider who works with individuals and small & medium sized businesses. Using modern technology coupled with old-fashioned integrity and personal service, we provide a comprehensive range of accounting, tax, and business consulting services. From our offices in Dallas, Texas, we serve clients in 16 states from Texas to Alaska and from California to New York... virtually throughout the entire U.S. You can contact us to address corporate, personal or estate requirements. As CPAs we can represent taxpayers before the IRS. For an expanding business needing strong financial and business support, ask us about our Virtual CFO services. Tailored to your specific needs, we can provide the appropriate mix of chief financial officer, controller functions, business development, and management capabilities. Contact us for a free consultation on how the Virtual CFO program can assist you to solve the challenges of your business. Use the CPA Services link for more details about our services. The Resources link will provide you with a variety of useful publications, financial calculators, and much more. Use the About Us link to learn more about our firm and associates. When you're ready, please Contact Us to discuss how we can best assist you.